LAST CHANCE! Covent Garden is turning FrenchReview: Make your teeth whiter with Diamond Whites Black Edition Charcoal ToothpasteDuck and Waffle Local are now doing takeaway… and we can’t handle it! Covent Garden is home to more standalone beauty brand stores per square metre than any other area of London, and is celebrating by hosting a marathon celebration of all things beauty, skincare and fragrance – Beautython – this August 23rd to September 3rd. Take advantage of the exclusive offers, exciting workshops, expert talks, and even fragrance fittings that will be available to beauty addicts from over 25 of the world’s top beauty brands and top talent as part of Beautython – including NARS, Deciem, Charlotte Tilbury, Dior, Clinique, MAC and Miller Harris. Beautython climaxes with two late night shopping events on the evening of Thursday 24th and Thursday 31st August, promising to take you flawlessly from desk to disco! Plus customers will have the opportunity to walk away with an exclusive Covent Garden tote bag designed by illustrator Lucia Curzi. Beautython kicks off with an evening in conversation with Pandora Sykes and Dolly Alderton on Wednesday 23rd August at NARS for 15 guests, tickets are £30 and redeemable against purchases from 6:30pm – 7:30pm. There will be a complimentary cocktail bar and GIF booth from 5pm. Charlotte Tilbury will be holding Hollywood Masterclasses each Thursday, using the new Hollywood Lips costing £55 and redeemable against purchases on the night. MAC will be offering lip demos from their best-selling lipsticks, paired with a glass of prosecco to those who book in advance. Clinique will be hosting a #lashgoals event on Thursday 31st inviting clients in to try on a mascara of their choice to achieve their very own #lashgoals with gifts with purchase of any mascara. For perfect skin, visit the latest innovative beauty opening in Covent Garden, Deciem, where you can discover multi-award winning skincare brand The Ordinary and enjoy mocktails made with beauty supplement Fountain. An exclusive preview and pre-sample of Chanel’s new Gabrielle Chanel, their first fragrance release in 15 years, will be happening in store throughout Beautython. A special event to celebrate the launch will invite guests to experience one of four makeup looks inspired by the iconic Gabrielle Chanel, or book in for an express file and polish. 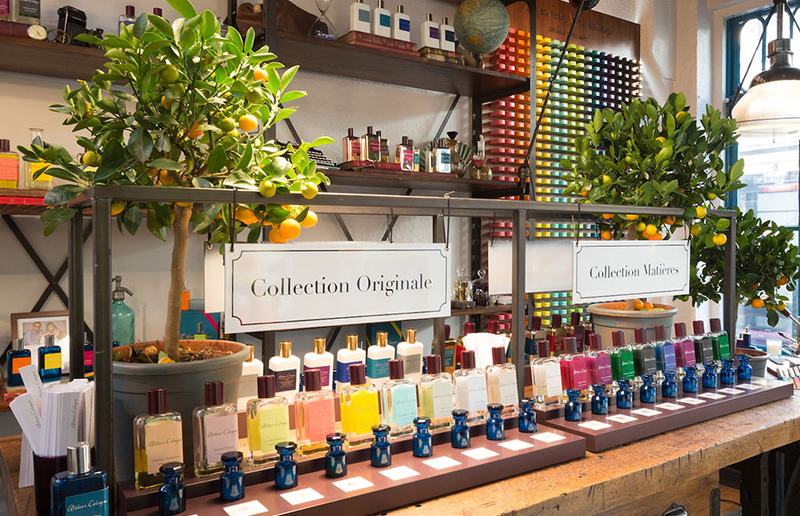 Atelier Cologne will be offering a two-hour workshop including champagne and an invitation for customers to step-outside their comfort zone by blindfolding them and allowing their noses to do the discovery. Miller Harris and Penhaligons will be holding fragrance profiling until late. Molton Brown and Jo Malone London will be offering pampering hand and arm massages with their beautiful products. LinkedIn are opening a pop up pub the Linked Inn, with career advice and free headshots!